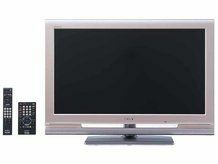 LCD TV manufacturers have made much of their 'green' intentions of late. But a new study by atmospheric scientist Professor Michael Prather, of the University of California, could dampen any ecological claims. Prather believes that LCD TVs are made with a gas called nitrogen trifluoride (NF3). This substance is said to be 17,000 times more harmful than carbon dioxide. The gas, however, is only said to be this harmful if it is broken up by UV rays before hitting the atmosphere. In an article published by New Scientist, Prather states that the increase in this gas has been directly caused by the electronics industry. The article states that NF3 was introduced as an alternative to greenhouse gases, which because of the Kyoto Protocol on climate change are slowly being eradicated. TechRadar contacted Sony Electronics about Prather's claims. Sony is one of the companies that is aiming to produce greener TVs, such as the recently-launched green range of Bravia TVs. We are still waiting for a response but will update you as soon we can.